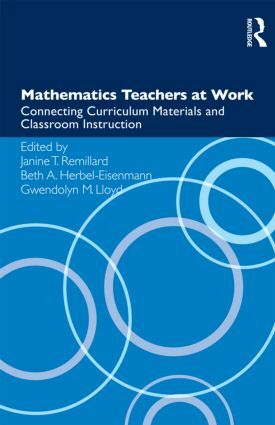 This book compiles and synthesizes existing research on teachers’ use of mathematics curriculum materials and the impact of curriculum materials on teaching and teachers, with a particular emphasis on – but not restricted to – those materials developed in the 1990s in response to the NCTM’s Principles and Standards for School Mathematics. Despite the substantial amount of curriculum development activity over the last 15 years and growing scholarly interest in their use, the book represents the first compilation of research on teachers and mathematics curriculum materials and the first volume with this focus in any content area in several decades. How Can Curriculum Materials Support Teachers in Pursuing Student Thinking During Whole-Group Discussions? Negotiating the “Presence of the Text”: How Might Teachers’ Language Choices Influence the Positioning of the Textbook? Part V Commentary: What Does it Take to Learn From and Through Curriculum Materials?